Streetlink Couriers Ireland Limited retains and uses your personal information to provide you with the best remote commerce (including electronic and mobile commerce) experience by providing you with a personalised service and to give you details of offers which we think will be of interest to you. We may also use the information to process any transactions you undertake with us and for internal administration and analysis. For quality assurance and training reasons we record most of the calls you make to us. 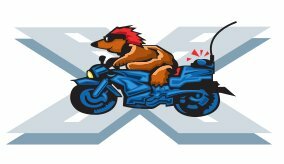 For any of the above purposes we may send your information internationally including to countries outside the EEA. Some of these jurisdictions offer differing levels of protection of personal information, not all of which may be as high as The Republic of Ireland. In Ireland we operate and are registered in accordance with applicable data protection legislation. Your payment details, direct debit information, credit card numbers etc., are processed and authorised through our secure payment service providers. 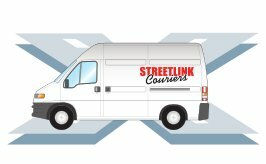 Streetlink Couriers Ireland Limited does not store any payment details. Accounts supported by credit card will be charged for each job at the completion of each job or within 24 hours after the job is completed, direct debit or invoiced accounts will be billed every thirty days or as otherwise agreed between you and Streetlink Couriers Ireland Limited. 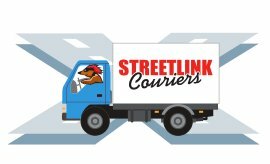 By disclosing your personal information to us using this website or over the telephone, you consent to the collection, storage and processing of your personal information by Streetlink Couriers Ireland Limited in the manner set out in these Conditions.